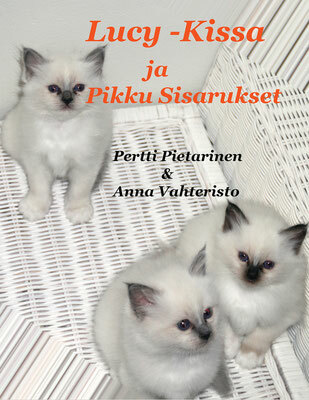 Lucy The Cat starts now to use Pietarinen.jimdo.com.site to share book news. Lucy The Cat has been very busy lately. Many projects have been going on. Of course Lucy The Cat needs some human help to write news and books, but the messenger is not so important. In the future you can find here what Lucy The Cat has told to the messenger. Messenger promise: "I will tell nothing but what Lucy The Cat has told me." 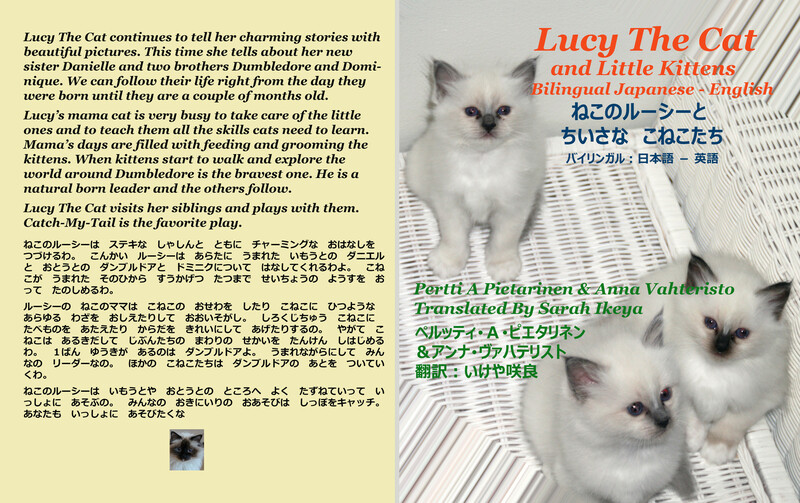 Right now Lucy is preparing her 4th Japanese - English bilingual book, planned to be published in October 2015. Can you wait that long? Name is Lucy The Cat And Little Kittens. And the Finnish translation Lucy-Kissa ja pikku sisarukset has already arrived in some bookshop (print version) and e-book arrives also very soon. Neljäs suomenkielinen Lucy-Kissa kirja Lucy-Kissa ja pikku sisarukset on juuri ilmestynyt ja myös sähkökirja on lähipäivinä saatavilla nettikirjakaupoista.